Fans around the globe have been paying tribute to Gene Wilder since the comic legend passed away last Monday. 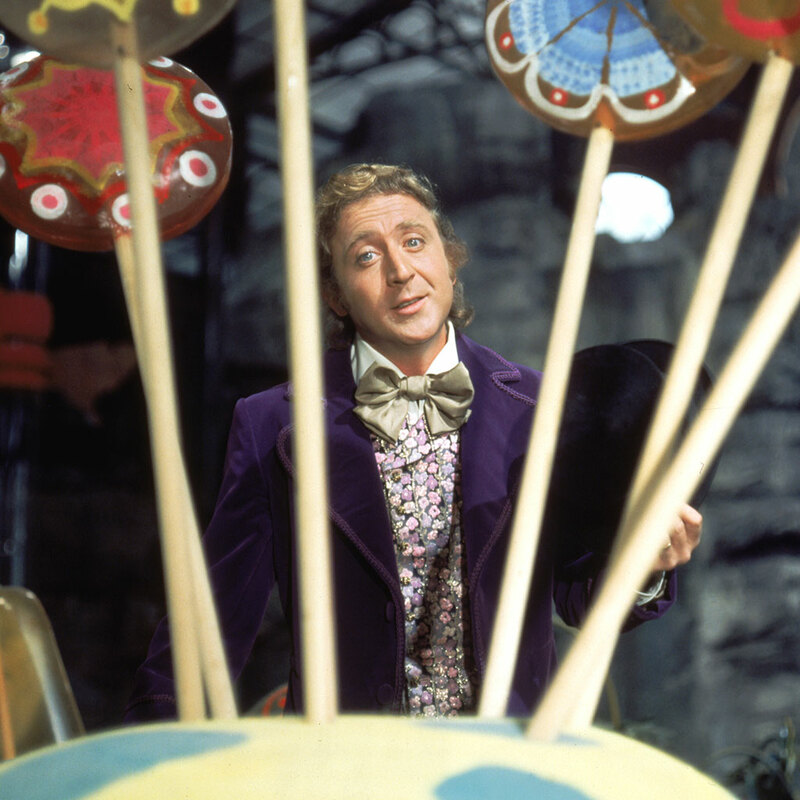 The actor had plenty of legendary parts during his career, but few were as distinctly recognizable as his portrayal of the title character in 1971’s far-out Ronald Dahl adaption Willy Wonka & the Chocolate Factory. As a tribute to the film’s star and the movie in general, an Australian bar is holding an entire “Wonka Week” that also happens to take advantage of one of the hottest culinary trends: rainbow food. Yesterday, Sydney’s Bar Luca showed off its limited-time “Beauregard Burger” on Instagram, an eye-popping burger that gives a psychedelic nod to the film’s wild imagery with a multicolored rainbow milk bun that’s dazzling enough to send you into some Wonka-esque flashbacks. Beyond the beautiful bun, the burger features tomato soup jelly, fried potatoes, popping cheese and, as an ode to the burger’s namesake Violet Beauregarde, blueberry onion jam. It also comes with a special “Wonka Sauce,” which, if I remember the movie correctly, you should ask for on the side. I don’t trust anything with Wonka’s name on it. But regardless, these crazy burgers will only be available until this Sunday and only in limited quantities each day. Um, apparently no one told Bar Luca that the rainbow food fad is probably enough to convince people to buy up all their burgers even without some additional golden ticket promotion. But maybe that’s Bar Luca’s biggest tribute to Willy Wonka: the man never seemed to think things through in an entirely logical fashion.